Cataract Gorge is a beautiful little oasis almost in the middle of the city. Once you’re in there you would never guess you are in a city. You could walk there from the middle of Launceston, it would only take you 15mins. There is a bit to do at ‘The Gorge’ (loving referred to by locals) including walks and hiking. Instead I thought we might do something more appropriate so I bought some tickets for the chair lift! Alannah had to go on one of the seats alone as the two little ones had to go on with me. I was so proud that she just jumped on and enjoyed the ride all by herself. 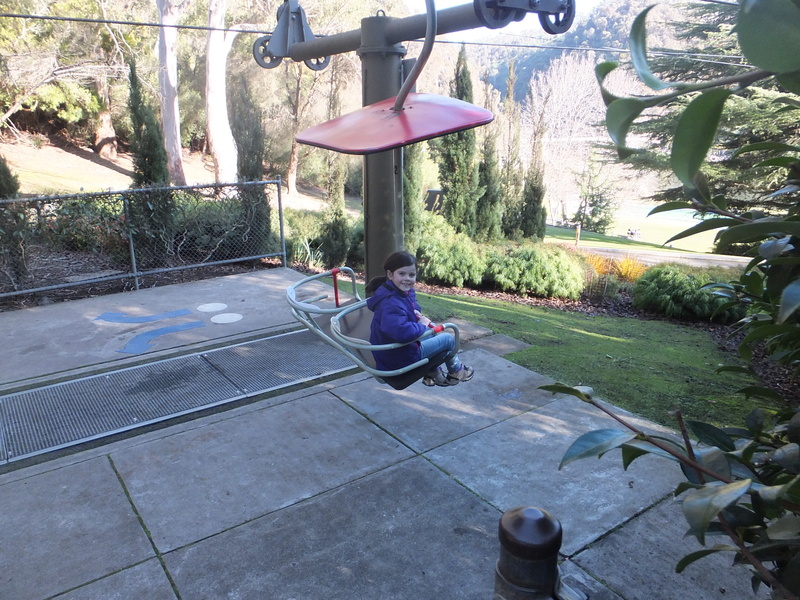 What else is there to do at Cataract Gorge? 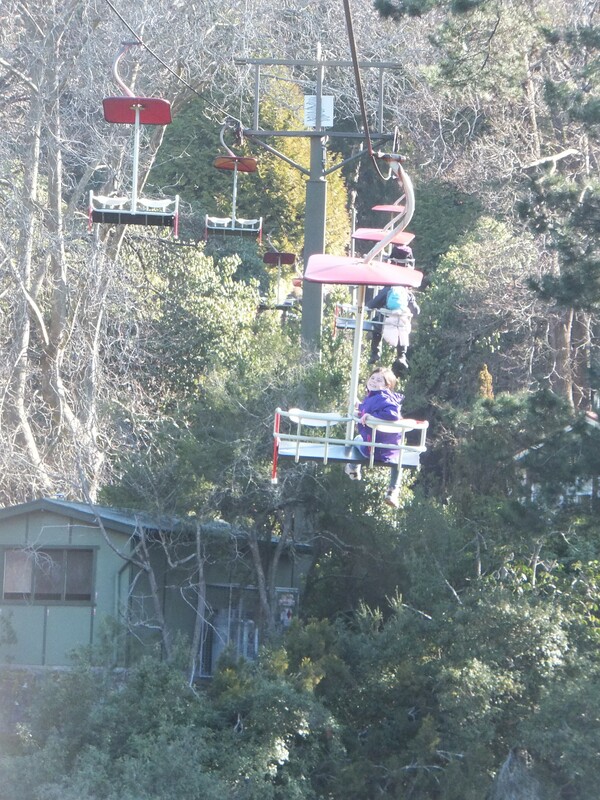 We entered through the cliff grounds and caught the chairlift across to the first basin where the main car park is. This is also were you pay for the chairlift. After paying we went for a walk to explore the grounds. The first thing we discovered were the peacocks! Both Alannah and I love peacocks but Caelan being a 6 year old boy, like he is, felt the need to chase them but he got more than he bargain for when the cheeky peacock ended up chasing him and he come running back to me with his tail between his legs. Love karma! A very comfortable peacock at Cataract Gorge. We head out to the Alexandra Suspension Bridge built in 1940 and walked across to take in the views. The kids (after learning bad habits off their father) thought it was hilarious to jump on the suspension bridge knowing that I hate it and of course they never miss an opportunity to antagonise me! I’m minding my own business trying to get some nice shots and the bridge starts rocking! I couldn’t get off it quick enough! We walked back over to the cliff grounds and took in the beautiful gardens. The paths are all paved so there’s no problem going there in the winter. We walked back to the Gorge Restaurant located on the cliff grounds, I could see the smoke coming out the chimney from the log fire located in the restaurant. 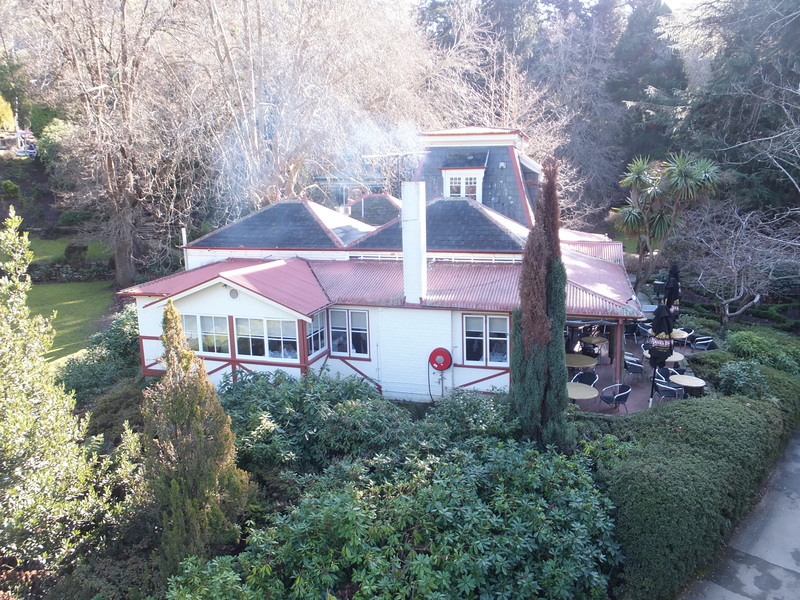 The Gorge Restaurant looks like an old house with a wrap around verandah which would be lovely in the summer months, just as inviting as as that log fire looked in the winter. The Gorge Restaurant serves lunch and dinners although the prices are focused for the higher end of the market. The menu looked delicious though with plenty of local produce on offer. The Basin Cafe is located on the first basin side close to the main car park and has glass windows across the front to take full advantage of the beautiful views. Perfect spot for casual cafe meal and is also licensed or even for a quiet coffee stop and a scone with jam! It also contains a full stocked souvenir shop for those would like to have a shop. We had just had lunch so I didn’t stop for anything to eat this time. I strategically avoid souvenir shops unless I’m prepared to buy something as the kids somehow think that they are entitled to something every where we go, save myself the pain! 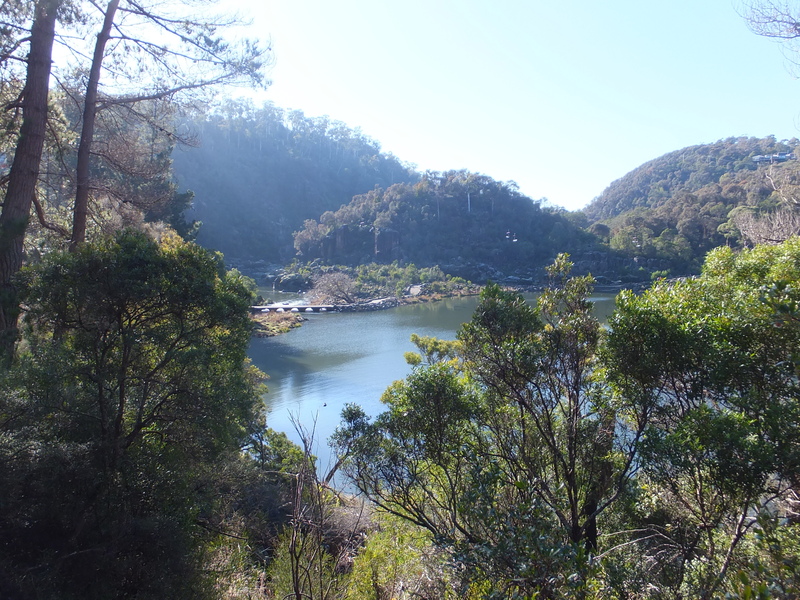 There’s plenty of walks or hikes surrounding Cataract Gorge, it really depends on what you feel like doing. I had the kids so didn’t wander too far this time. Kids amaze me, it may not have been double figures weather wise, but the kids spotted the public swimming pool and said ‘can we go for a swim mum?’. Don’t be ridiculous kids! Although it would be an awesome place in the summer and also free to use and plenty of space around for a picnic and a kick of the footy. Free public swimming pool, great in summer. We got back on the chairlift to go back to the cliff grounds and again Alannah went on by herself. She is tiny as it is and she looked so small sitting there by herself. I was glad when we got to the other end and our feet were back on solid ground. Wildlife everywhere & they’re not frightened. There’s my girl, so brave. 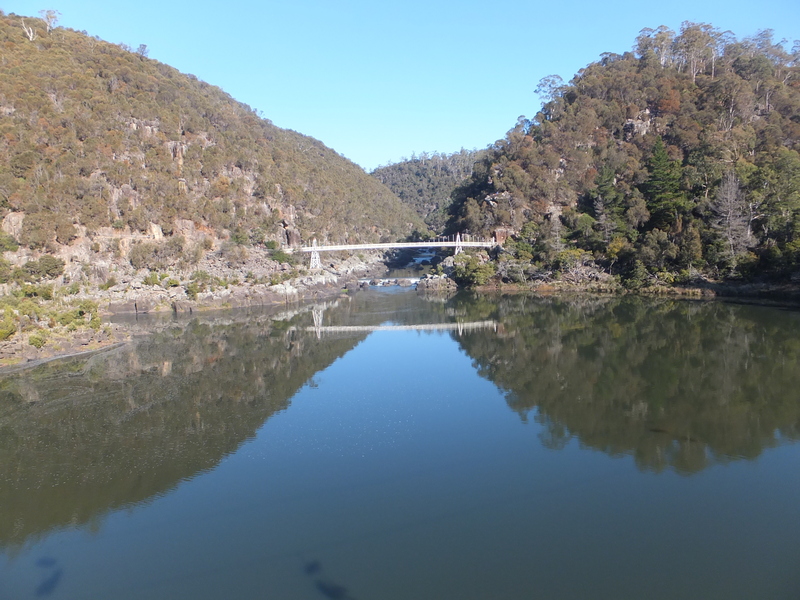 Cataract Gorge – nothing more need be said. 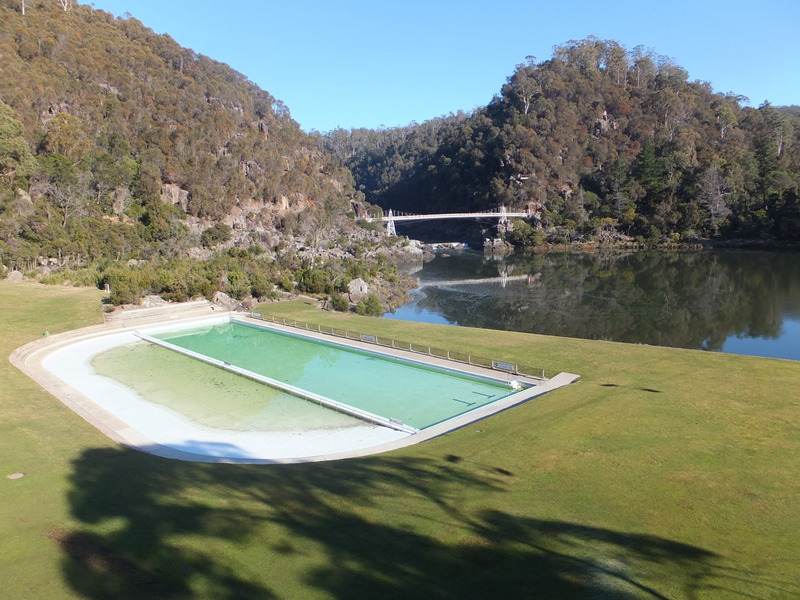 Cataract Gorge is one of the main attractions in Launceston and thoroughly deserves that accolade. You could easily spend a whole day here especially in the warmer weather. Even though it was cold when we were there, the sun was shining and when standing in the sun it was really nice. The kids enjoyed the open spaces especially Caelan running across the frost covered grass and leaving his foot prints. The walks are lovely and the tracks mostly paved making it easy to navigate. I have been to Cataract Gorge before and will return again next time I’m town. Cradle Mountain is a few hours drive from Launceston, if you have time to make the trip I strongly suggest you do as it breath taking and a must down when in Tasmania. You can stop off at Mole Creek Caves as well, which you will pass on the way. 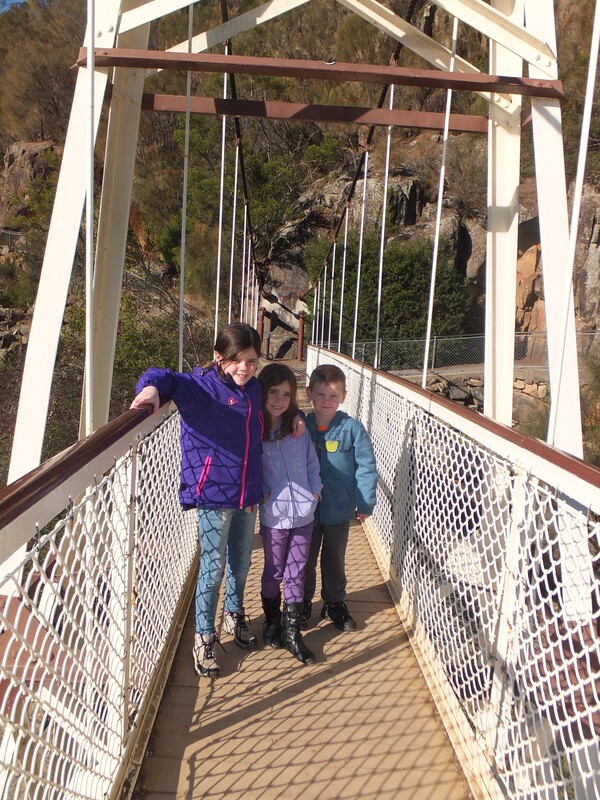 Have you been to Cataract Gorge? Anything to add about your experience, leave me a comment in the box below. HAHA. Only Caelan!! Cataract Gorge looks gorgeous!! And that pool is so cool!! Yes he’s a little devil Aimee, its a lovely spot and I’m sure fantastic in the summer. Cataract Gorge looks awesome! I had no idea it was so close to Launceston. We’ll have to check it out next time we’re there.